I recently decided it was high time I started to finish up some of the UFOs that have been slowly piling up in my craft room. My Directions Baby Quilt top seemed like the perfect opportunity to practice some FMQ so I whipped up a back and began stitching. After a few minutes of deliberation, I started by stitching an orange peel design on the half square triangles to give the quilt some motion, and then later added pebbles along the sashing just for fun. 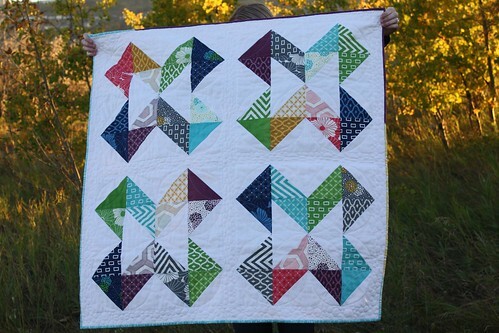 I used 100% of the materials for this quilt from my stash, and it was a fun challenge. 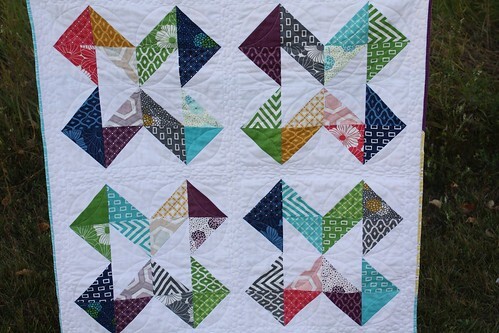 For the quilt back I pieced a few gender neutral prints together. 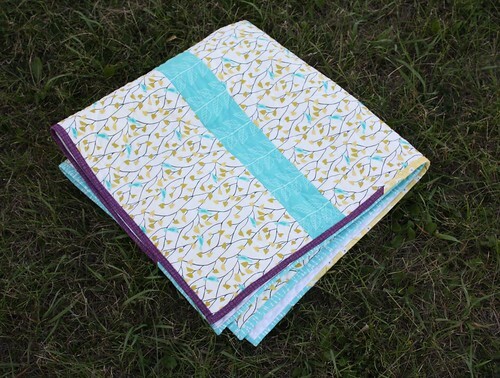 When choosing binding, I didn't have enough of any one print to work, so I added three prints that complimented the backing. 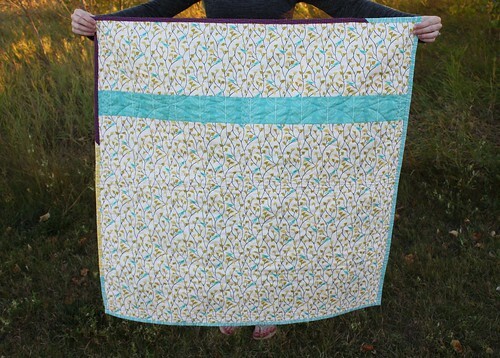 This project reminded me how fast and fun making baby quilts are. 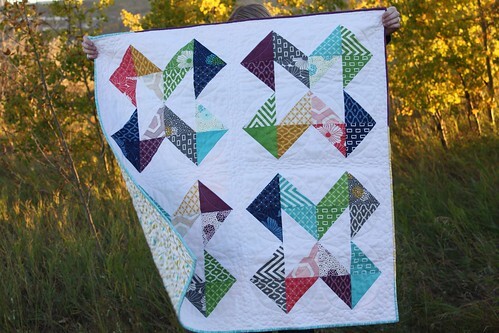 I think I need to make a habit of making these types of stash busting, no rules, baby quilts in the future. Thanks for the reminder that we can create something wonderful with no plans, stress free sewing. What size were your squares? I love the size of your quilt! That's a great idea, no rules, no patterns, just use what ya got! Quick finishes are very rewarding - ahhhhhh. Gosh! 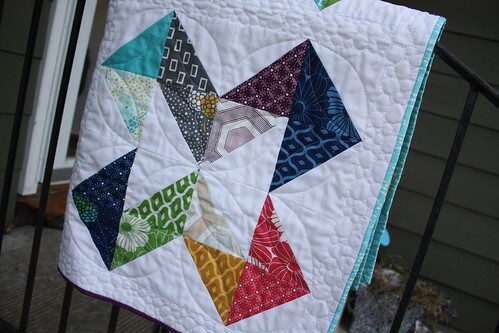 HSTs are so cool and so versatile-love this arrangement!